Know what this crazy world needs? 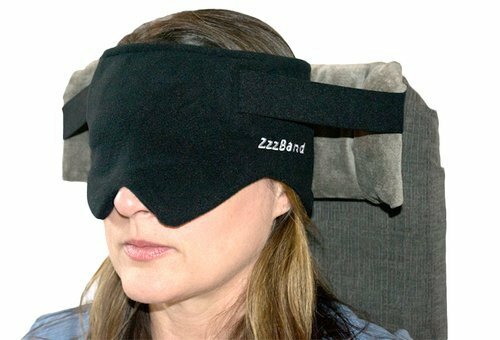 A better way to look dorky on airplanes. Okay, actually, not planes, but buses. I travel by bus more often than I like to admit, and it's tough getting comfy on those long hauls. 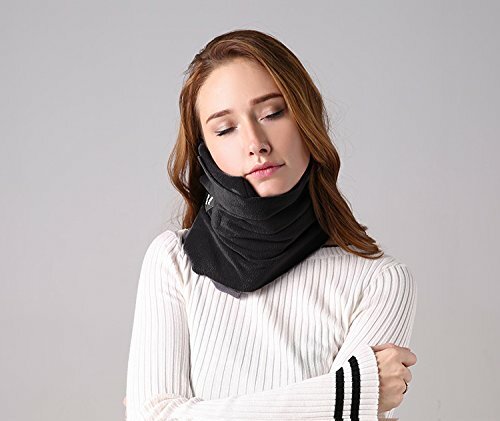 I've tried bunching up a sweater against the window, I've tried a standard-issue "travel" neck pillow (on planes, not buses), I've tried just grinning and bearing it. With so much serious stuff going on in the world, I felt that what was needed was a hard-hitting investigation into ten of the newest and most amazing ways I can make my head and neck cozy while I travel. Science has been working on this problem for a while – or it ought to have been – so I wanted to see what they’ve come up with. And why now??? I’ve been keeping all these windows open on my browser for about 2 weeks waiting for the right time to post, and after spending an hour up with a sick kid last night, and then waking up much too early in the morning, I have decided – in the midst of my sleeeepy haze – that today is the day. A number of these offerings come from Kickstarter, and some are not available for sale the regular way. In fact, “things to help you sleep” seems to be one of the more popular Kickstarter genres. And no wonder – sleep is so delicious. Another successful Kickstarter project. 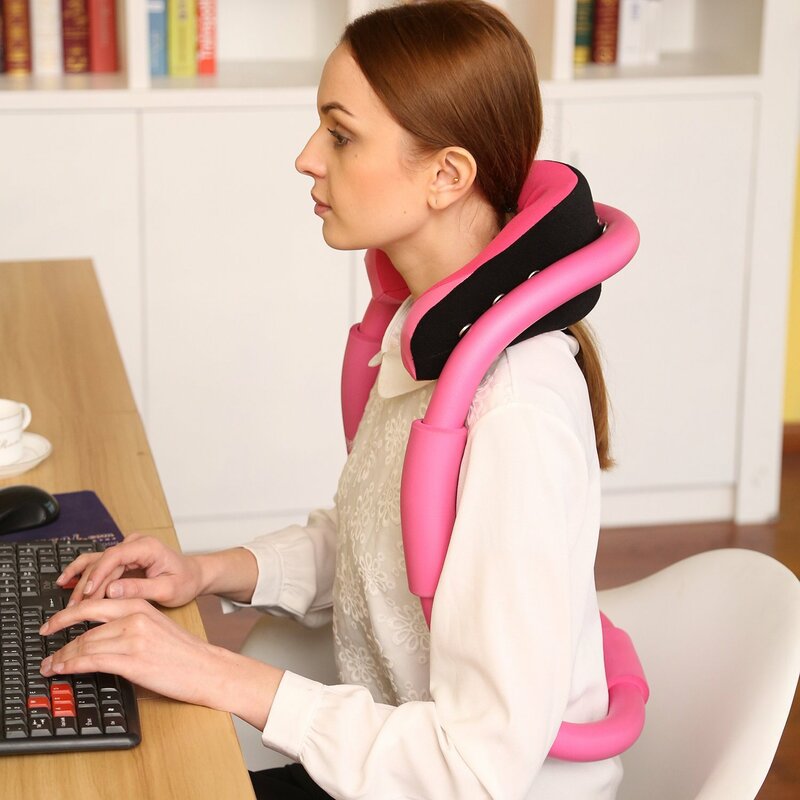 This one, however, looks less appealing, since essentially you are strapping your neck to the seat. The product’s FAQ includes a claim of a “a saftey break away in the event of an emergency.” Confidence-inspiring, but this one seems less likely to win my approval. 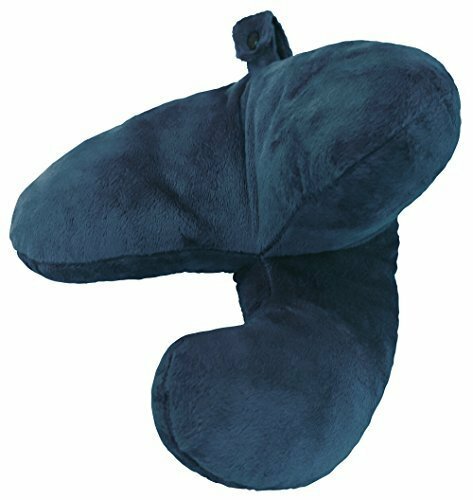 You can’t really tell from the pictures, but a careful analysis of this product on Amazon suggests that this is basically a regular U-shaped travel pillow with a J-shaped extension sticking out perpendicular to the pillow. 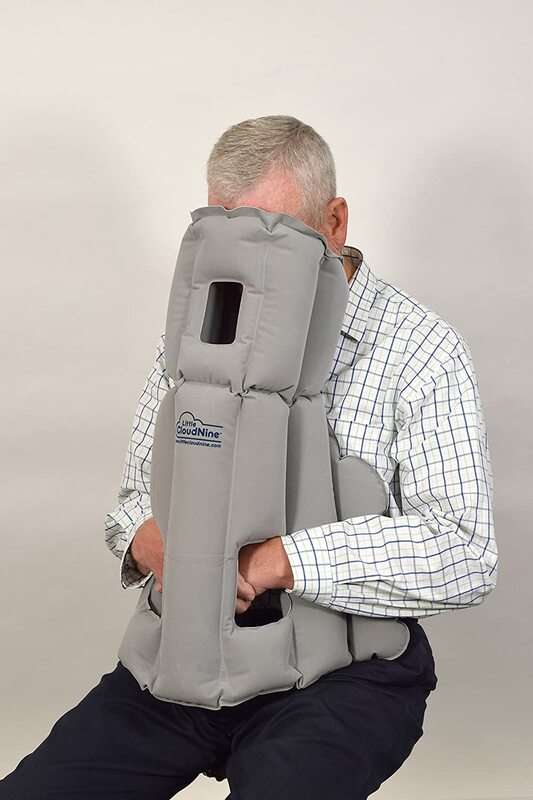 However, Amazon reviews seem to suggest that this isn’t really “grippy” enough on its own to hold your head up if you’re sleeping in an upright position, like on a plane… or a bus. Don’t you wish you had one of those for your next bus trip? Reviews are mixed, and this one isn’t cheap, but some people really seem to love it. 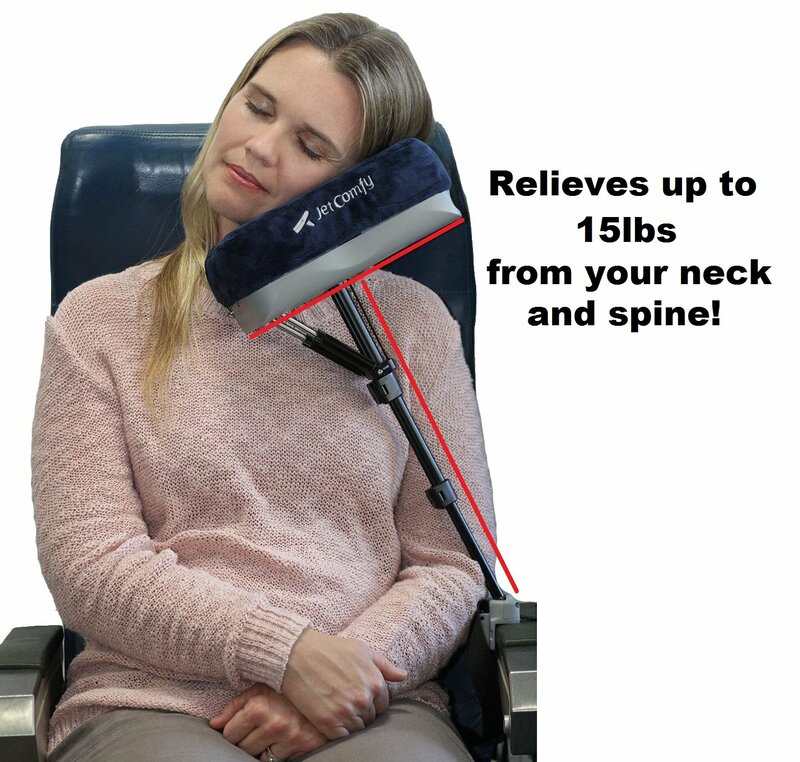 This is an older successful Kickstarter offering from the same school of thought as the Nod Travel Pillow and the ZzzBand, based on the belief that if you could only strap your head to something, it would stay in place. Only, in this case, what you’re strapping your head to is… you. It’s anchored to your back, not the seat. Some Amazon reviews suggest that there isn’t enough support, but a few users seem to really like it. 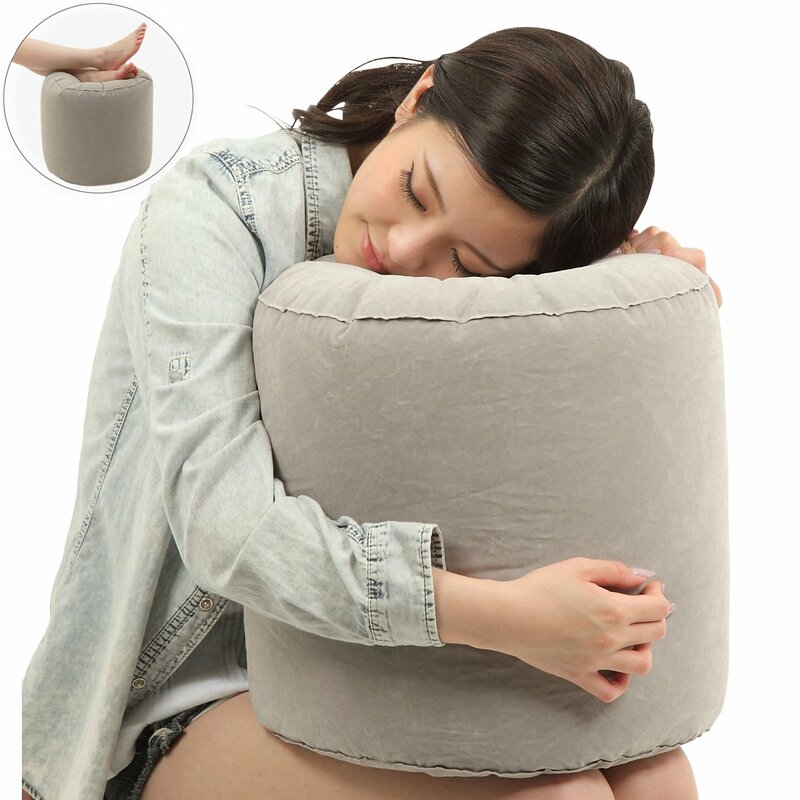 I want to give this pillow an award for looking the opposite of what the name suggests: totally not comfy. It looks like a torture instrument. It looks like you’re cuddling up to a mop head. Yet Amazon users seem to like it very much. 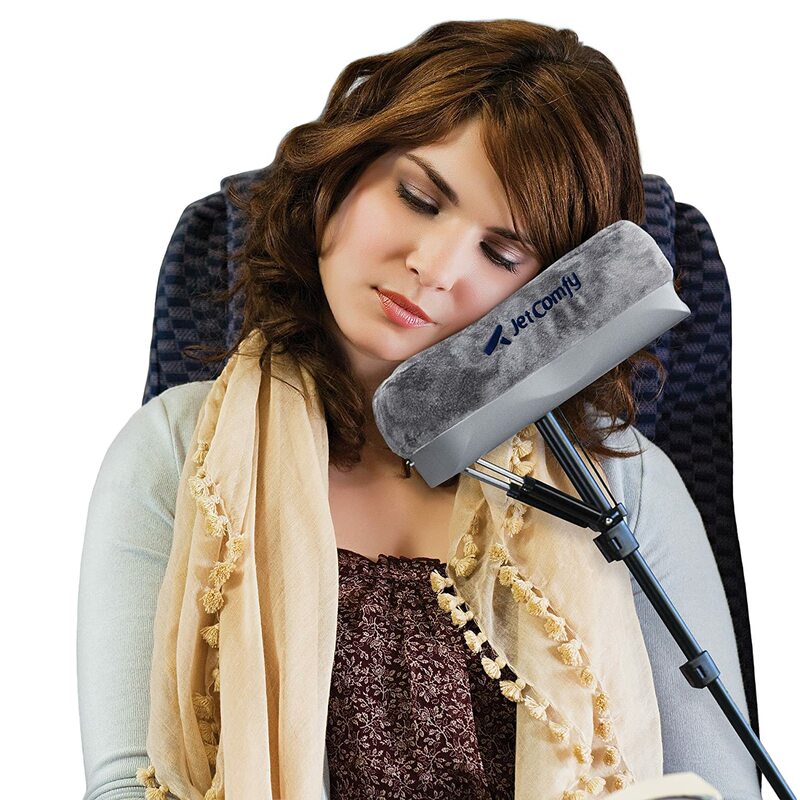 The idea is simple, if a little kludgy to carry around – just attach it to the armrest and leeeeean into a good night’s (or day’s) sleep. One reviewer actually said that she had no armrest and just jammed it in between the seats, and it worked fine. One reviewer, however, did say, “This was horrible! It gave me the worse crick in the neck.” Which is what it looks like to me as well, from the picture here, with her head cricked gently sideways. But others seem to think this is the product of their dreams. 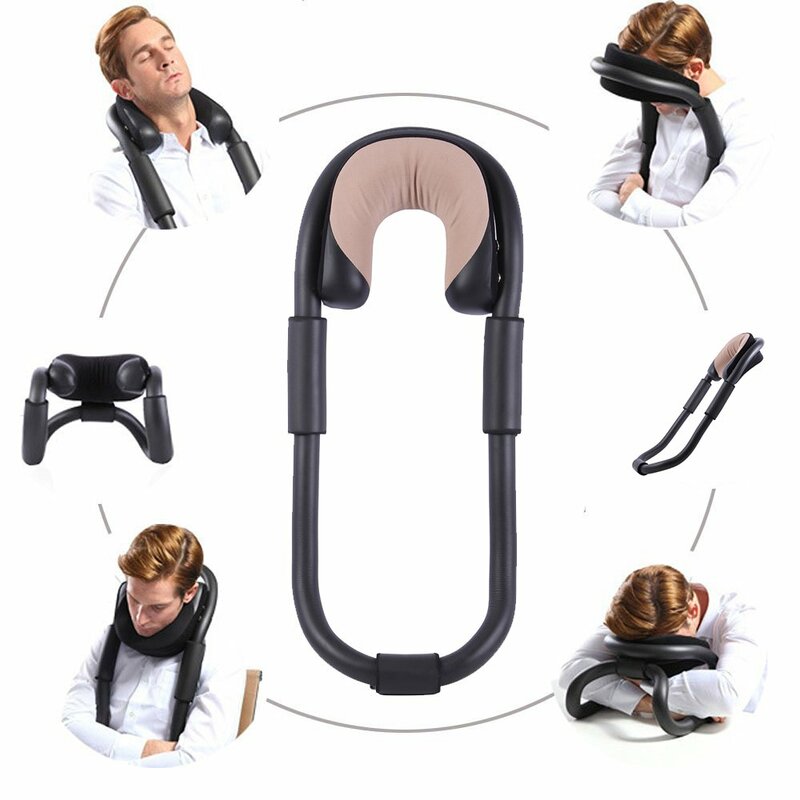 I’m skeptical; if it can’t hold your head on, it seems to me that there’s a very good chance you’ll fling yourself off this pedestal and wake up in a weird position, all jittery and uncomfortable. The Pretzel offers a lot more padding around the neck, and the VaVesta people say they can’t guarantee that your head won’t flop to one side or another, but do say that “head instability will be greatly reduced.” Certainly looks like a nice alternative for those times the bus driver feels like cranking up the AC. I have saved the weirdest name AND the weirdest pillow for last because this one delights me even as I am appalled by the thought of travelling with it. You simply blow it up and… smoosh your face into the flocked PVC exterior made, according to its successful Kickstarter page, of “very resistant” material. Or what about the Little Cloud Nine, also on Amazon? 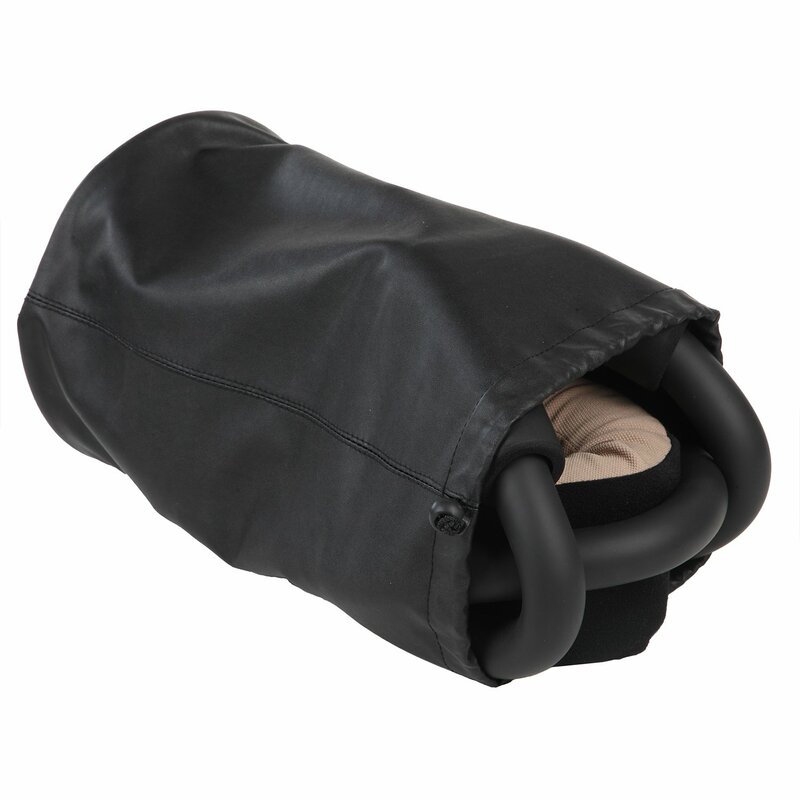 On the other hand, if you think cuddling a fuzzy PVC inflatable might look too odd, there’s always the PowerSiesta, essentially a fold-up cardboard lectern that you can wrap your arms around and sleep on top of, should you so choose. 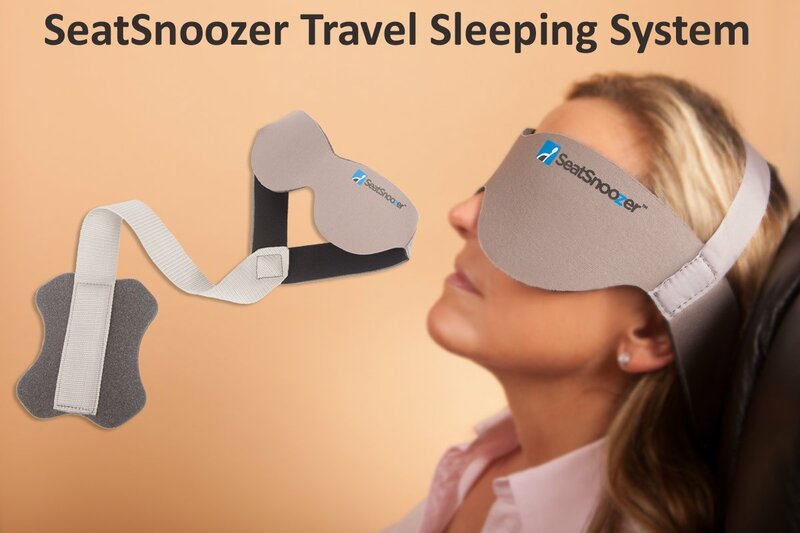 Unlike most of the other sleep aids listed here, this is actually an active Kickstarter project, meaning you can get in on the ground floor if you think this gadget will succeed. Whether it does or not, it’s obvious that people are always looking for better ways to sleep. I guess I’m not the only one who’s spent too many uncomfy sleepless hours on buses and planes. True, most of these solutions are pretty dorky, and many don’t seem to work as promised. But as the old saying goes, “A sleep-deprived fool and her money are easily parted.” When you’re desperate, you’re desperate, and you’ll buy anything that promises a few hours of shuteye.